Afrikaans is spoken in South Africa and Namibia. It is a West Germanic language and a daughter language of Dutch, originating in its 17th century dialects. 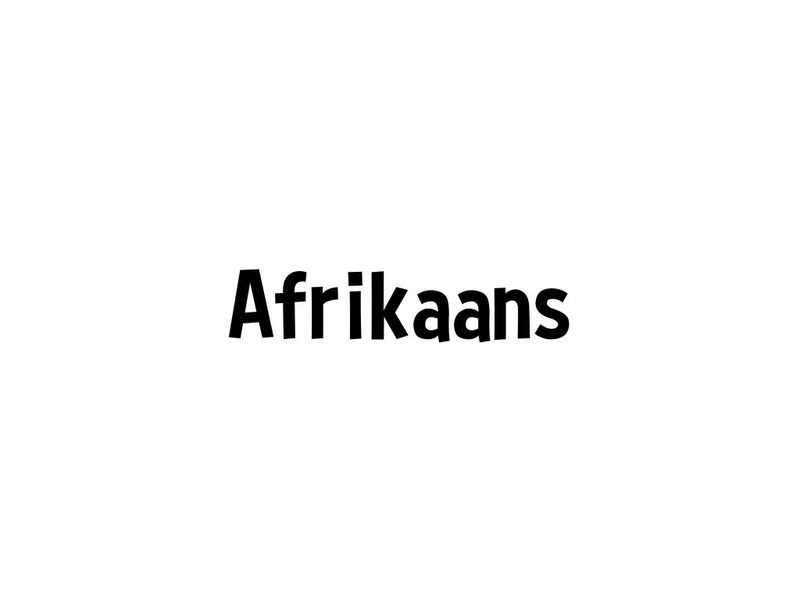 While the number of total speakers of Afrikaans is unknown, estimates range between 15 and 23 million. Lekker dat jy die taal probeer praat! = Nice that you tried to speak the language! Do you speak English? – Praat jy Engels? Hulle het geluister – They have listened. — Han escuchado. Ek se – I say (used like “you see”) = ? Slang in die gras – snake in the grass (ie. something is wrong) — Algo huele mal (literalmente: un vibora entre el pasto). Is jy terug in Oaxaca? – Are you back in Oaxaca? Veels geluk met jou verjaarsdag, Ron! – Happy Birthday, Ron! — Feliz cumpleaños Ron!